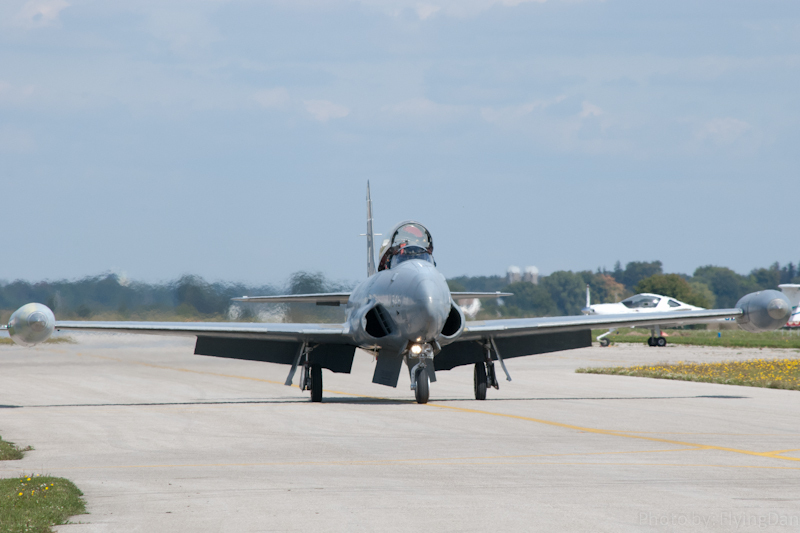 Danny recaps his day in London, Ontario checking out the first flight of a newly restored T-33. Chris explores the history and continuing legacy of the Lockheed T-33 Shooting Star and its canuck cousin the Canadair CT-133 Silver Star. Cleared En Route Top Plane Confirmed! Given that there was no objection to the nomination of the Canadair CT-114 Tutor since the last show we proudly confirm this aircraft as one of Canada’s Top Planes. For a listing of all the Top Planes (confirmed or nominated) head over to the Top Planes Hall of Fame. If you have a plane which you think to be deserving of this designation, please contact us to let us know. We are now on iTunes! Check out the link on the right of this page to get hooked up. Thank you to Ryan and Jim and the others who’ve taken the time to tweet or write to the show. We always love hearing feedback and look forward to making improvements to the show and website over time. We love aviation and want to share that with you. Thank you and stay tuned! Also, please do not forget to check out the Canadian Air & Space Museum Special Episode. The Museum is fighting for it’s life and to preserve important pieces of Canadian history. Find out what you can do to help by heading over to our Help the CASM page or by heading over to the Museum’s site for the latest news. Follow us on Twitter @ClearedEnRoute or send us an email at clearedenroute.podcast@gmail.com. Questions, comments and suggestions are always welcomed!